Our container of teak furniture has finally arrived! 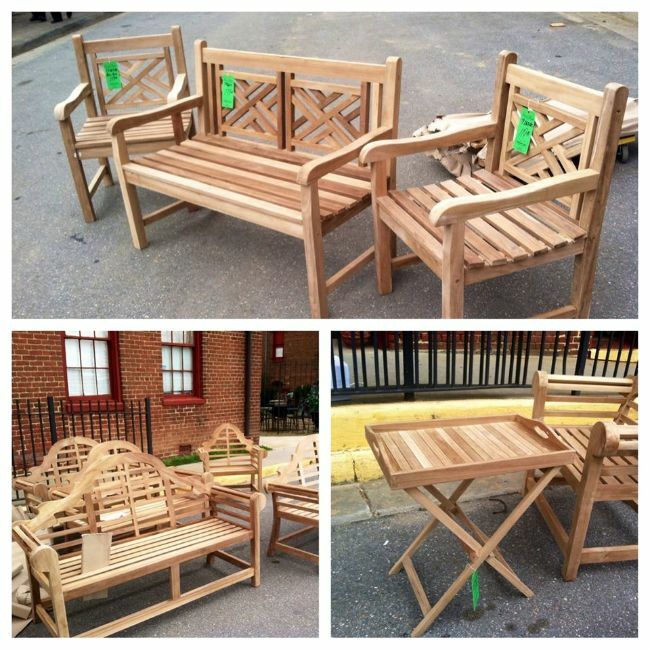 Each spring we get a shipment of teak outdoor benches imported from Indonesia. As always, we received the three sizes of the Lutyens benches and the Crossback (Chippendale style) bench and matching chair. These are by far our most popular pieces. This year we also got backless benches, square end tables and tray tables. These can be found on display in the street, just outside of Building #8 (Farmville location only). More than a thousand new Indian hand-knotted Orientals have arrived! Come see the beautiful new styles and colors! Homearama 2014 – Don’t Miss It! Green Front is participating in Richmond Homearama 2014, presented by Home Building Association of Richmond. Visit richmondhomearama.com for more information. Feel free to bring along your favorite pup to help you pick out new furniture! This entry was posted in News From Green Front.